As text sources are getting broader, measuring text similarity is becoming more compelling. Automatic text classification, search engines and auto answering systems are samples of applications that rely on text similarity. Learning management systems (LMS) are becoming more important since electronic media is getting more publicly available. As LMS continuously needs content enrichment and the web is getting richer, automatic collection of learning materials becomes an innovative idea. Intelligent agents can be used with a similarity measurement method to implement the automatic collection process. This paper presents a new method for measuring text similarity using the well-known WordNet Ontology. The proposed method assumes that a text is similar to another if it represents a more specific semantic. This is more suitable for LMS content enrichment as learning content can usually be expanded by a more specific one. This paper shows how the hierarchy of WordNet can be taken advantage of to determine the importance of a word. It is also shown how similarity method within an e-learning system is exploited to achieve two goals. The first one is the enrichment of the e-learning content, and the second is the detection of semantically similar questions in e-learning questions banks. Many methods have been presented to measure text similarity. Traditional methods are based on text lexical analysis and adopted by many information retrieval systems to find similar texts based on a text query. Some new research works are based on corpora-extracted statistics, and are considered to be statistically oriented (Mihalcea, Corley, & Strapparava, 2006; Corley & Mihalcea, 2005; Islam & Inkpen, 2008; Amala Bai & Manimegalai, 2013). Many other studies have focused on the concepts of texts, where some conceptual representations like ontologies is used to determine the overwhelming concepts of a text (Pandya & Bhattacharyya, 2005; Wang & Taylor, 2007). Some other works are based on machine learning techniques, where an agent is used to learn how to test text similarity (Bilenko & Mooney, 2003; Lee, Pincombe, & Welsh, 2005). Some hybrid systems are also proposed such as the one in Mohle and Mihalcea (2009). 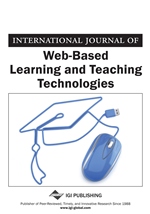 Using Ontologies in e-learning systems were presented in many researches, as in Henze, Dolog, and Nejdl (2004) where the authors proposed a method to personalize e-learning contents using Ontologies and semantic web resources. They investigate a logic-based approach to educational hypermedia using TRIPLE, which is a rule and query language for the semantic web. Many other researchers used WordNet in e-learning, Carbonaro (2010) proposed a research that aims to build a summarization system to support tutors in managing student communication and interaction within an educational environment. They show that Concept-based approaches to represent dynamic and unstructured information can be useful to address issues such as trying to determine the key concepts and to summarize the information exchanged within a personalized environment. It seems a promising technology for implementing a distance learning environment; enabling the organization to deliver learning materials around small pieces of semantically enriched resources. The study in Hung and Yee (2005) shows a semantic-based automated question answering system that can act like a virtual tutor to answer student questions online. This system, not only relieves the tutor from the burden of answering many questions, but also allows students to get answers promptly without waiting for the tutor‘s response.